After some special camps for percussion and color guard members, the entire Wildcats Marching Band gathered together on Monday to begin summer band. Wednesday afternoon Band Director Charles McCauley said the band kids are doing great and he added they have had a great first three days of summer band. He said the band members have great attitudes and are working hard. This year’s Wildcats Marching Band features a large freshman class. With 45 freshman, McCauley said the freshmen make up more than a third of the band. He said the freshmen are learning quickly. McCauley said he enjoyed watching the light bulbs going on for them as they learn things. He said he is working to keep them from feeling overwhelmed. McCauley said one of the goals of summer band is for all band members to learn to do everything the same way. He said there is only one way to stand, to hold an instrument or to march. 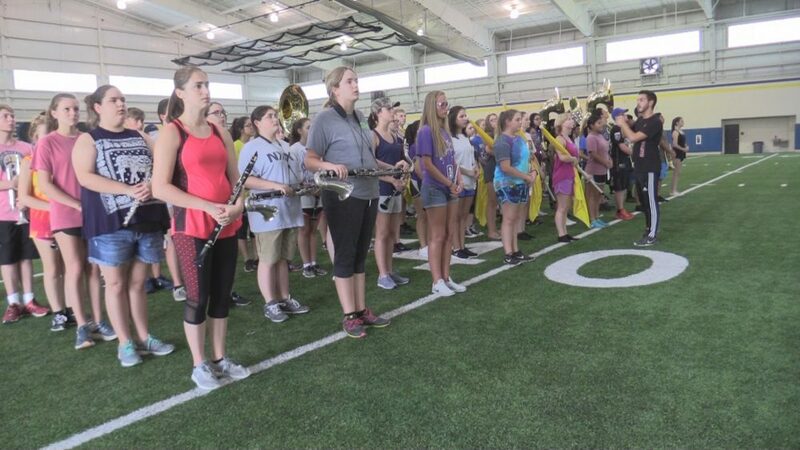 McCauley said there are also about thirty pieces of music to learn including the national anthem, numbers to play in the stands and this year’s show songs. He said he hoped the band would learn to march and play the first song of the show by the end of summer band. McCauley said if the band does that, they would be in good shape. 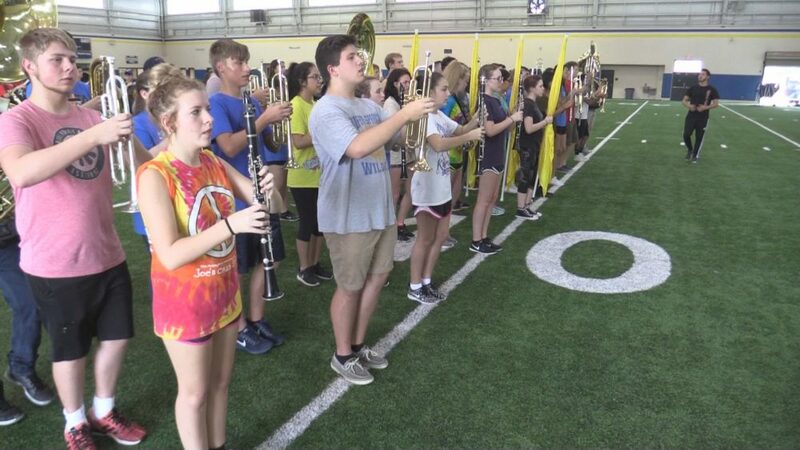 The first days of summer band have featured the constant repetition of fundamentals.